Tennis Nova Scotia would like to bring to your attention a new initiative called Tennis for Schools. Tennis for Schools is a national program that supports the development of fundamental movement skills related to the sport of tennis, while increasing student knowledge and appreciation for the sport. Developed through a cooperative partnership between Tennis Canada and Physical and Health Education Canada (PHE Canada), Tennis for Schools is designed for both generalist and specialist physical education teachers in Canadian elementary, middle, and junior high schools. It provides these teachers with the knowledge and tools so that they can introduce their students to the exciting potential that tennis offers in promoting lifelong physical activity and participation in sport. Regardless of a teacher’s tennis background, Tennis for Schools provides a step-by-step, easy to follow lesson plan (Manual and DVD) that meets many of the required learning outcomes for provincial physical education curricula. Using modified progressive tennis equipment such as slow-bounce balls, smaller playing surfaces, and smaller racquets, all students in a quality physical education program can be successful in tennis. Tennis Nova Scotia would like to facilitate the implementation of Tennis for Schools in your school. The program can run at lunch or after school. Tennis Nova Scotia will provide you with a Tennis for Schools Manual (Lesson Plans for Grades 1-2 & Grades 3-5, a DVD that compliments the Manual, and a Tennis Nova Scotia Representative to run the first and last class. In return the School needs to host a Rookie Tour Event, following the Program, that will be run by the TNS Representative at a cost of $10 per Student (they will receive a T-Shirt, plenty of Matches, and an introduction to Competition in a safe environment). TNS would also need to collect contact information from the Students participating in the Rookie Tour Event (through a Waiver/Registration form for the Event). To book a Tennis for Schools program at your school, or to obtain more information, please contact Tennis Nova Scotia. 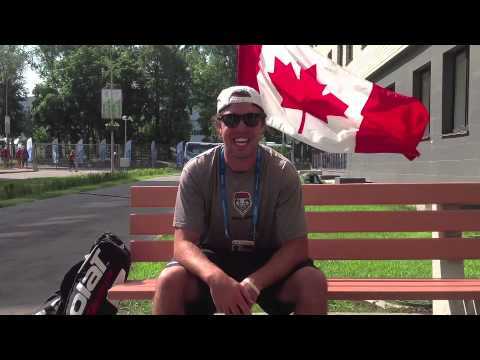 In 2013, Tennis Canada announced the launch of a national public service campaign promoting tennis participation for children across the country and the “Let’s Make Tennis Matter for Kids” fundraising initiative. This initiative has become the ‘Tennis, Values for Life’ campaign. Tennis Nova Scotia and Tennis Canada want to make sure all kids, particularly those who would otherwise never get the chance to play tennis, have the opportunity to experience that same joy and gain valuable tennis skills: confidence, sportsmanship,and perseverance. Join us in bringing this passion to more kids. Find out more about Tennis, Values for Life.